Oh Yeah! Bar - is a delicious candy bar rich in three different sources of protein and whole-grain oats, which is an excellent source of complex carbohydrates. Oh Yeah! 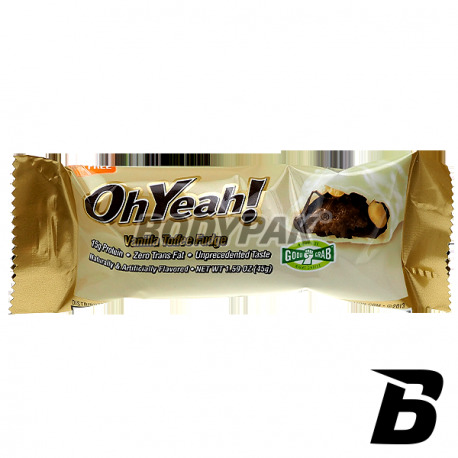 - Is a delicious candy bar rich in three different sources of protein and whole-grain oats, which is an excellent source of complex carbohydrates. In vain to look for a better snack at such a low price. Dymatize Whey Protein Isolate - absorption time of a few minutes, the highest biological value BV = 159, ideal when you need virtually instantaneous supply of amino acids for our body. The way in which the concentrate is obtained (ion exchange) guarantees a minimum content of other macronutrients, fats and carbohydrates. The soy protein - added to supplement the amino acid profile of the total mixture of proteins. Milk Protein Isolate, Milk Protein Concentrate - all the best of milk without undue lactose, cholesterol and saturated fatty acids. It contains Conjugated Linolenic Acid (CLA, a compound useful in reducing the amount of fat stored by the body as fat), Glutamine peptides (very important amino acid) or are lactoferrin (best absorbed iron, has a strong antibacterial properties). Gelatin hydrolyzate - is a typical protein of connective tissue occurring widely in animals and humans. Collagen is one of the most important proteins in our body. 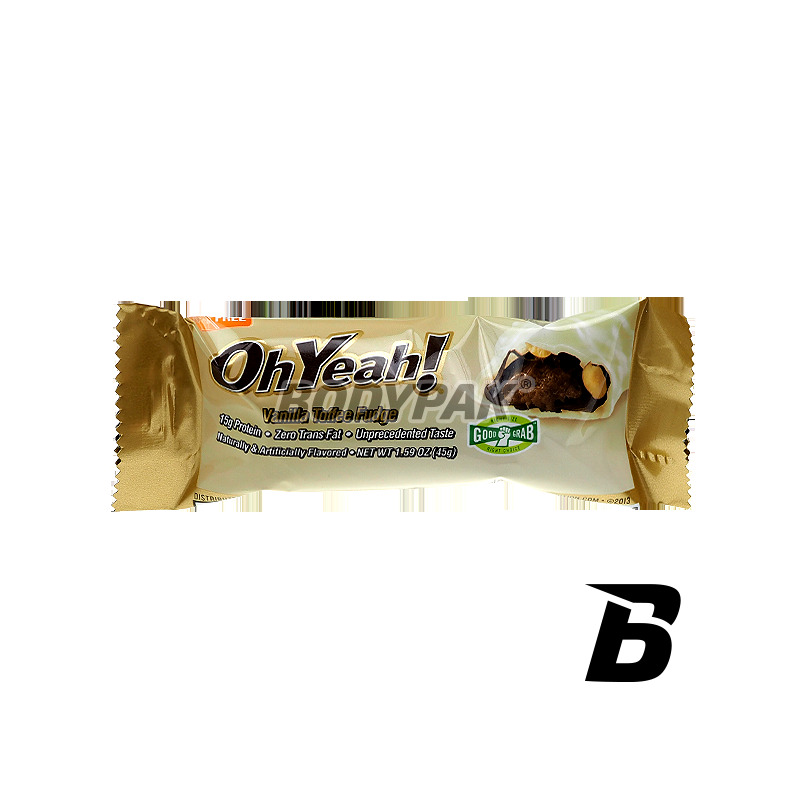 One serving (1 candy bar), depending on your needs, in the intervals between meals or after training. One serving (1 candy bar), depending on your needs, in the intervals between meals or after a small meal. Ingredients: Protein Blend ( whey protein isolate, whey protein isolate, soy milk protein isolate , milk protein concentrate , hydrolyzed gelatin), chocolate icing ( maltitol, palm oil, whey protein concentrate , sugar, cocoa powder, lecithin (emulsifier)), vanillin, caramel (sugar, corn syrup, skim milk, syrup, maltitol , cocoa butter, corn starch, butter, sucralose, lecithin (emulsifier), natural and artificial flavors), nuts, pieces of milk chocolate ((sugar, cocoa butter, chocolate liquor, milk powder - full lecithin (emulsifier), vanilla), sugar, coloring agents (Blue 1, Blue 1 Lake, Blue 2 Lake, Yellow 5, Yellow 6, Yellow 6 Lake, Red 40, Red 40 Lake, sorbitol, titanium dioxide, phosphoric acid, methyl paraben, caramel), corn syrup, wax, dextrin) glycerine flour, nuts, fractionated palm oil, lecithin (emulsifier), natural and artificial flavors salt, sucralose, almond butter and potassium sorbate - as preservatives. Sensational candy bar with dried fruit and added with seeds - hardly a healthier snack! It will serve as a healthy and delicious variation of any monotonous diet. The small size makes it easy to carry it with you at all times!